We are extremely proud of our dedicated team. 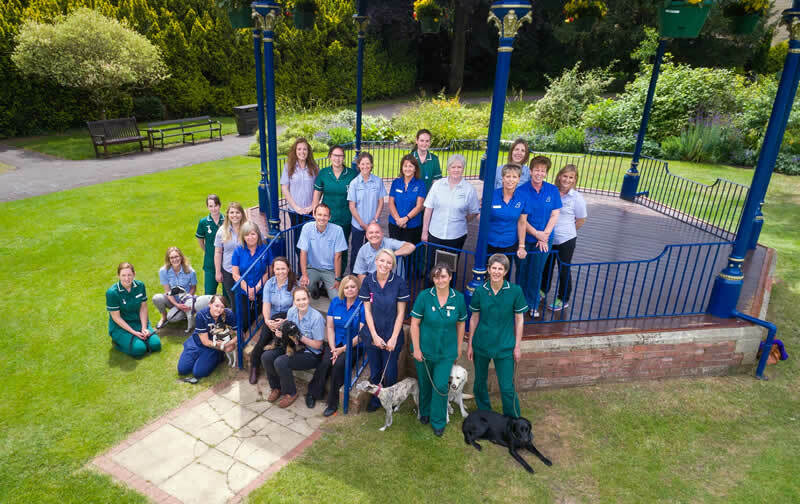 We hire only the best and most experienced employees to become a part of our team here at Bicester Vets. Learning and education are very important here at Bicester Vets. We strive to have a state of the art hospital with a staff trained in the latest medical advances. Our patients deserve the very best veterinary care. Been seeing a bit more of you than I would like recently, but I just want to say, that the reception staff have been brilliant, sadly I had to bring in my kitten Pepsi’s body recently, they were so lovely. Then I saw the lovely Claire with Willow, not rushed, advised what to do and wait and see before spending big amounts of money, and am now having a bit of a rough time with Corky, I know all the vets are brilliant, and they every time I have had to see them with what ever ailment, but I would just like to thank Emma, for everything, I thought I was going in to lose another cat today, far too soon after Pepsi, she didn’t rush me she talked through everything and once again said she would look up and investigate something in case it could help Corky.